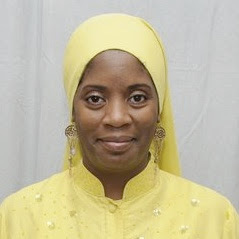 Charlene Muhammad, Western Region Correspondent for the Final Call Newspaper and Los Angeles Sentinel contributor and columnist ("With These Hands"/Religion Section) was recently named a recipient of New America Media's 2009 Stimulus Watch Fellowship for Ethnic Media Journalists. Ms. Muhammad and the other fellows, from diverse publications across the country, will use the fellowship to document the impact of the American Recovery and Reinvestment Act on the ethnic communities served by their publications. More specifically, Ms. Muhammad will investigate equity issues in the employment, education, and housing sections of the Recovery Act. "I've always considered it a privilege and a blessing to have a platform from which to produce news and information that educates, enlightens, informs, and uplifts our community. I believe that winning this fellowship from New America Media will strongly enhance that work. I am grateful to NAM for spearheading such an important project and for the opportunity to be a part of it. This is a time of struggle like our people have never experienced before. Although the Stimulus Package doesn't hold all of the answers to the issues facing the Black community, it does hold some financial assistance and I look forward to finding out what that assistance is, how it has been used so far, and how it can be accessed," Ms. Muhammad said. The fellows will convene in Washington, DC November 12 and 13 for an extensive training on the stimulus, where they will meet national policy-makers, leading investigative and business journalists, policy advocates, and researchers. NAM will disseminate stories produced by the fellows to ethnic and mainstream media partners and nonprofit collaborators through NAM’s news wire. The Fellowship is underwritten by a grant from the Open Society Institute. New York fellows were selected in partnership with the New York Community Media Alliance. More information about NAM's Stimulus Watch can be found at www.newamericamedia.org. PBTA!!!! Beautiful work Sis. Charlene. Well done!!!! !